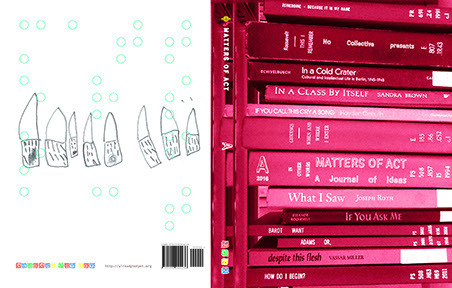 An open-access publisher fabricated and run by members of No Collective, dedicated to consummating the age to come by making available unprecedented texts that question and/or traverse the boundaries of art, theory, fiction, and other curiosities, primarily via the medium of language. Please enjoy. A periodical compiled by No Collective assembling materials that question the general topic of fabrication and probe the density of various unrealities. 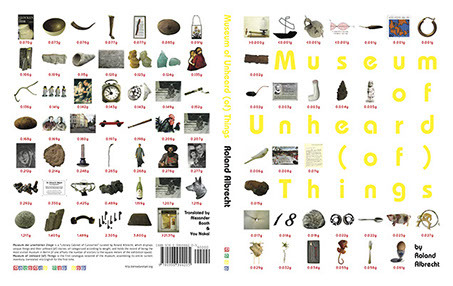 Includes a detailed report on "Site-Specific Fictions" by Robert Smithson without Robert Smithson, an attempted restoration of the exhibition "Unconditional Restoration," a compilation of odd proposals sent to Movement Research in 2013, an observation journal on how human beings grow, interview with a reclusive poet who makes his works by re-shelving books in libraries and is upset about conceptual poetry not being conceptual enough, a review of Speculative Realism written by a 14-year-old, and many more peculiarities. Here are answers to everything you always wanted to know but never dreamed of asking (a four-and-a-half year old): What is the last number? Why do crayons have color? Who made God? Why do I like things? What happens when you die? 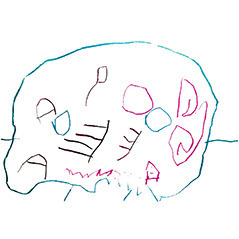 These and many more age-old conundrums answered and illustrated for the very first time! Museum der unerhoerten Dinge is a world-famous "literary cabinet of curiosities" curated by Roland Albrecht which displays unique things and their unheard (of) stories, and holds the record of being the most visited museum in Berlin (if one offsets the number of visitors to the square meters of the exhibition space). This book is the first catalogue raisonné of the museum, assembling its entire current inventory, translated into English for the first time. 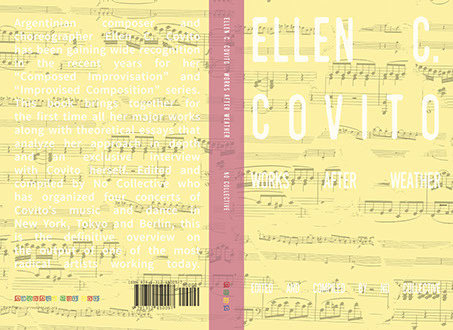 The first and definitive overview on the output of maverick Argentinian composer/choreographer Ellen C. Covito, "a rising star in the radical musical traditions" (TDR, MIT Press), widely known for her "Composed Improvisation" and "Improvised Composition" series performed all over the world. This book brings together all of Covito's major works, along with three essays that analyze her idiosyncratic approach in depth, and an exclusive interview with the artist herself.